Winchester Super-X Rifle Ammo for Hunting/Target. 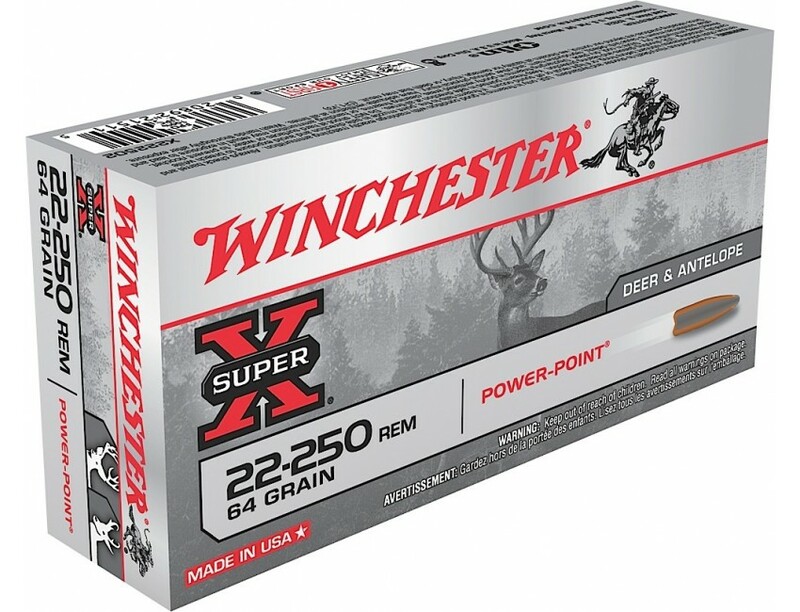 22-250 Remington, 64 GR, Power-Point. Box price, 20 Rounds/Box. Super-X ammunition has provided exceptional quality and outstanding performance for all types of hunters and shooters who rely on its time-proven dependability backed by legendary excellence.